“Forever Plaid,” the musical comedy about four lads (an all-male harmony group) who die tragically in the 1950s but manage to return from the great beyond for one last (and presumably memorable) concert, is being performed on Friday and Saturday at 7:30 p.m. and Sunday at 2 p.m. in the Norris Theatre, 27570 Norris Center Drive, Rolling Hills Estates. Tickets, $70 to $30. Call (310) 544-0403 or go to palosverdesperformingarts.com. For the prince trapped in the body of the beast! Will Belle break the spell? The South Bay Conservatory presents “Beauty and the Beast” at 7:30 p.m. on Friday and Saturday, plus 2 p.m. on Saturday, in the James Armstrong Theatre, 3330 Civic Center Drive, Torrance. Tickets, $22. Call (310) 781-7171 or go to southbayconservatory.com. “Carla Fernández: Manifesto of Fashion as Resistance” is on view through Nov. 25 at the Palos Verdes Art Center, 5504 W. Crestridge Road, Rancho Palos Verdes, but there’s a trunk show and weaving demonstration from 10 a.m. to 4 p.m. where you can meet Ms. Fernández and also master weaver Margarita Lopez Hernandez. (310) 541-2479 or go to pvartcenter.org. “A Christmas Cactus” is, in one sentence, a merry mystery that mashes Dickens and Doyle in a charming Christmas tale where goodwill and justice triumph. But why stop there? Cactus O’Riley is a sassy private eye with the holiday blues. He needs to solve a case and “take a second chance on love and sleuthing.” The play opens at 8 p.m. at Little Fish Theatre, 777 S. Centre St., San Pedro. Through Dec. 16. Opening night tickets are $23. Thereafter it’s $27 general, $25 seniors,and $15 for patrons 25 and under. (310) 512-6030 or go to littlefishtheatre.org. The Loyola Marymount University Choruses are performing at 7:30 p.m. in the Parish Hall of St. Lawrence Martyr Catholic Church, 1900 S. Prospect Ave., Redondo Beach. The groups include the Consort Singers, the Women’s Chamber Ensemble, and the Concert Choir, under the direction of Dr. Mary C. Breden. Seasonal favorites as well as excerpts from John Rutter’s “Gloria” are on the program. (310) 338-5154. 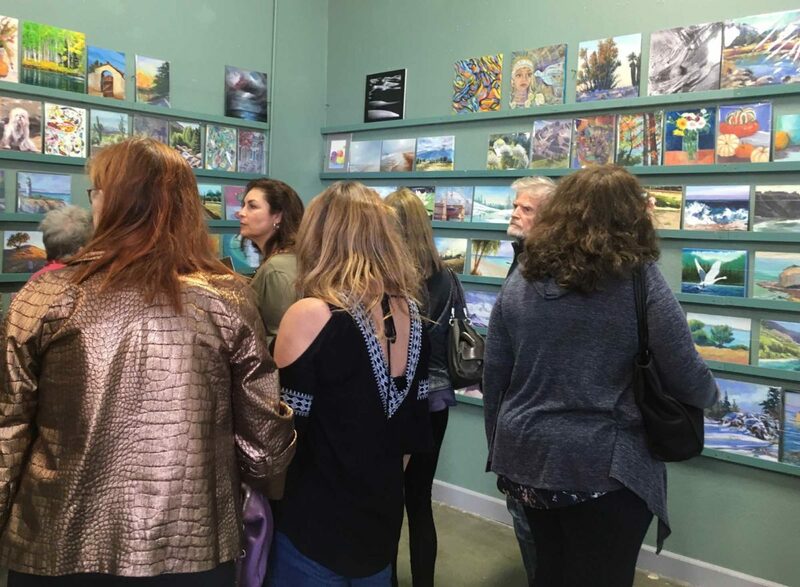 “Art2Go3” takes place with a reception at 3 p.m. at Destination: Art, 1815 W. 213rd St., downtown Torrance. Some 350 unsigned paintings in every format are for sale, but you’ll only learn who the artist is after you’ve bought the picture. The works were mostly created by members of Destination: Art and their supporters. Special pricing through Nov. 24. Call (310) 742-3192 or go to destination-art.net. 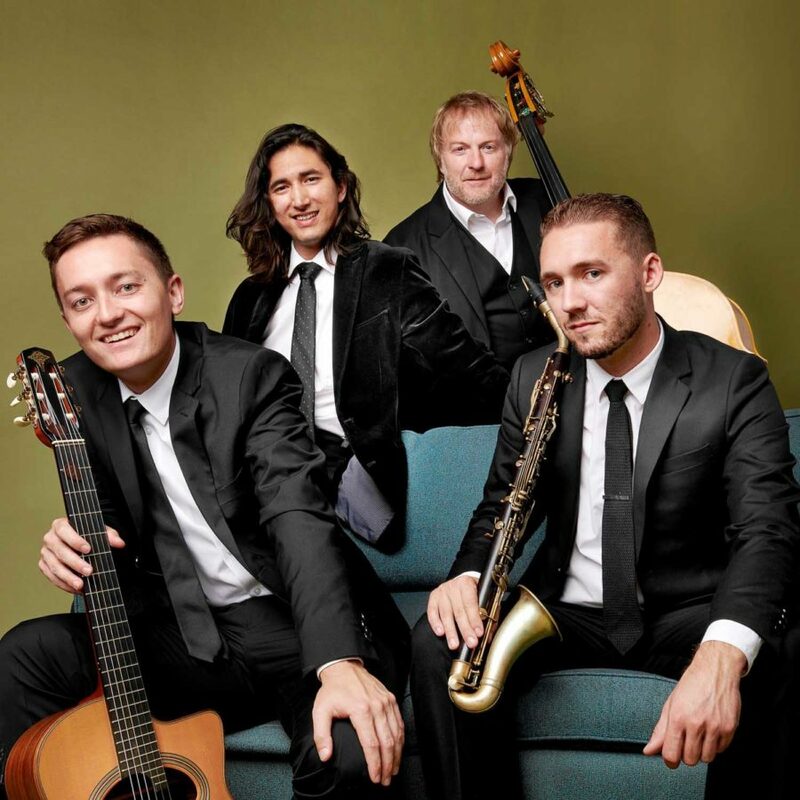 Hedgehog Swing is a group that prides itself on being true to the music of 1930s France, specifically acoustic jazz in the style of Django Reinhardt and Stephane Grappelli. The band performs for free at 2 p.m. in the Friends of the Library Room of the El Segundo Public Library, 111 W. Mariposa Ave., at Main St., in El Segundo. (310) 524-2728. “Being Present” is a group exhibition opening with a reception from 6 to 9 p.m. at Artlife Gallery, 720C S. Allied Way, in Plaza El Segundo, El Segundo. Live music by Dave Carroll and refreshments. The show runs through Nov. 30. Call (310)938-2511. A solo show called “You Should Have Been Here Yesterday” devoted to painter Bob Dog opens at ShockBoxx, 636 Cypress Ave., Hermsoa Beach. Reception from 7 to 9 p.m. (310) 989-4323 or go to shockboxxproject.com. 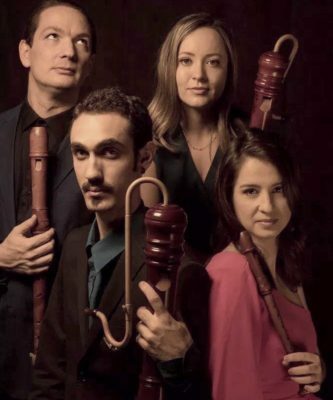 The Brazilian recorder quartet Quinta Essentia performs at 3 p.m. in the First Lutheran Church and School, 2900 W. Carson St., Torrance. The group’s program consists of numerous pieces by distinguished Brazilian composers such as Radamés Gnattali, Heitor Villa-Lobos, and Daniel Wolff. Free; donations appreciated. (310) 316-5574. The Torrance Craftsmen’s Guild presents their “Holiday Arts and Crafts Fair” from 9 a.m. to 4 p.m. on Saturday and Sunday in the Cultural Arts Center, 3330 Civic Center Drive, Torrance. It’s free. Details at TorranceCraftsmensGuild.org. Engelbert Humperdinck’s “Hansel and Gretel” opens at 7:30 p.m. in the Dorothy Chandler Pavilion, 135 N. Grand Ave., downtown Los Angeles in the Music Center. 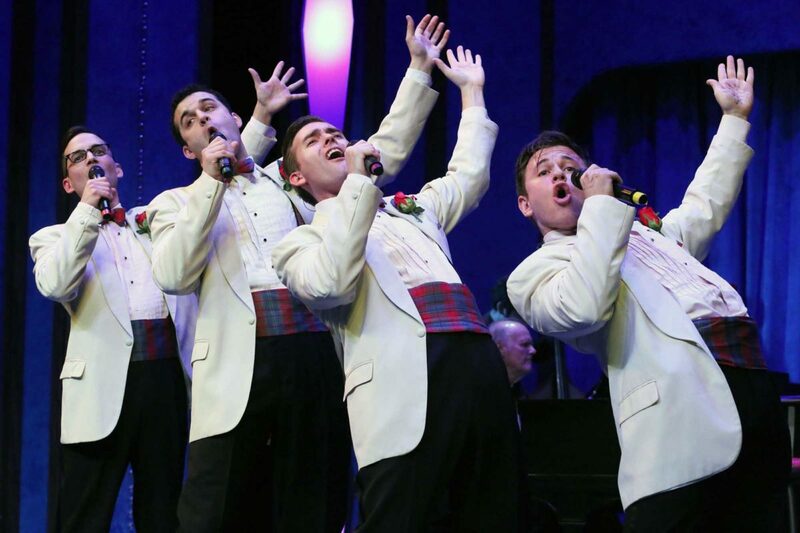 The opera has six performances, through Dec. 15. Conducted by James Conlon and featuring the Los Angeles Children’s Chorus. Tickets start at $16. Call (213) 972-8001 or go to LAOpera.org. The El Camino College Concert Band performs at 8 p.m. in Marsee Auditorium on campus at Crenshaw and Redondo Beach boulevards, Torrance. Directed by Dane Teter, the program features works by Leonard Bernstein, Bruce Broughton, and Sammy Nestico. 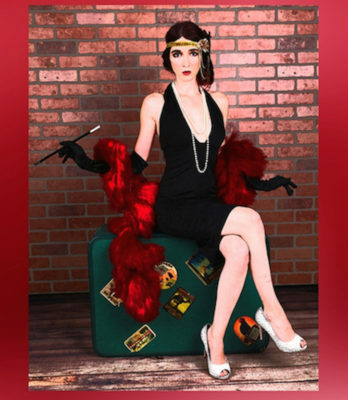 Inquire about tickets at (800) 832-ARTS or go tocenterforthearts.org. The Boys of Summer, an Eagles tribute band, perform “Hotel California” in its entirety at 8 p.m. in Alva’s Showroom, 1417 W. Eighth St., San Pedro. Tickets, $25. Call (310) 833-7538 or go to AlvasShowroom.tix.com. The House of Hope Foundation presents their “2018 Talent Show” at 2 p.m. in the James Armstrong Theatre, 3330 Civic Center Drive, Torrance. The event features the talents of local people in recovery from alcohol and drug addiction. Proceeds to help women in need of substance abuse treatment. Tickets, $100; $25. Details at houseofhope.org. Lou Mannick is back with “Saw & Soul,” featuring his uncanny ability to draw endless sounds from the kind of saw you might eye and pass by at Sears. The performance, with guest stars Barbara Morrison and Mike McCollum, with Otis Mannick, David Witham, Ernie Nunez, Oliver C.Brown, and Candice Gawne, goes on at 4 p.m. in Alva’s Showroom, 1417 W. Eighth St., San Pedro. Tickets, $20. Call (310) 833-7538 or go to AlvasShowroom.tix.com. The El Camino College Jazz Band presents “Las Cucarachas Entran…” at 3 p.m. in Marsee Auditorium, located on campus at 16007 Crenshaw Blvd., Torrance. Alan Chan directs the program that features big-band music by John Beasley, Thad Jones, Jim McNeely, and more. Call for tickets, (800) 832-ARTS or visit centerforthearts.org. The “Faculty Show” opens at the El Camino College Art Gallery, 16007 Crenshaw Blvd., Torrance, and it’s exactly what the title says. The opening reception is on Thursday, Nov. 29, from 5 to 8 p.m. There’s a gallery talk at 1 p.m. on Tuesday, Dec. 4. Closes on Dec. 12. Call (310) 660-3010 or go to elcamino.edu.